You can choose your car rental in Vancouver International Airport from our diverse array of up-to-date models. No matter your budget or mobility needs our wide selection of economy and luxury rental cars can accommodate. Air conditioning comes as standard in all rental cars, which is particularly useful in Vancouver International Airport's subtropical climate. Which rental vehicle is right for my vacation? Compact cars are great for city trips to places like Vancouver International Airport, giving you an way to zip about town and find parking easily. Sedans are good for long drives with their spacious comforts and top amenities. Sports cars and convertibles can add some instant glamour and excitement to the many scenic drives you can take along the coast or down to the Vancouver International Airport Keys. Minivans and station wagons are an ideal car rental for family vacations with ample leg and luggage room. SUVs can be a perfect choice for a getaway with friends or those traveling with more gear for outdoor adventures or other activities. Some of our car rental in Vancouver International Airport branches can provide larger groups with passenger vans, including 12-seater and 15-seater models. Our selection of add-ons let you customize your car rental in Vancouver International Airport to suit the needs of your trip. We have numerous protection packages and other optional features to help you have an optimal car rental experience. We recommend to include extras while booking online to ensure their availability. The renter and all drivers must present a valid original driver's license when picking up their rental car. Drivers with a non-Canada driver's license must produce a valid passport or a valid government-issued ID card at pick up as well. If the driving license is printed in a non-Roman alphabet it must be accompanied by an international driving license. The minimum age to rent a car in Vancouver International Airport is 21. For drivers under 25 a young drivers surcharge is applicable. Some specialty vehicle types have further age restrictions, you can find out more during the online booking process. Your car rental in Vancouver International Airport will be handed over with a full tank of gas and must be returned full as well. Alternatively, book our prepaid fuel option which allows you to prepay for a full tank of gas a prices comparable to the local pump and return the rental vehicle on low. In the event of an accident please contact the police immediately and report any damages to the rental car directly to Sixt. You can contact emergency services by dialing 911. Experience an active West Coast fishing community complete with the requisite pubs, museums, and a fish market! 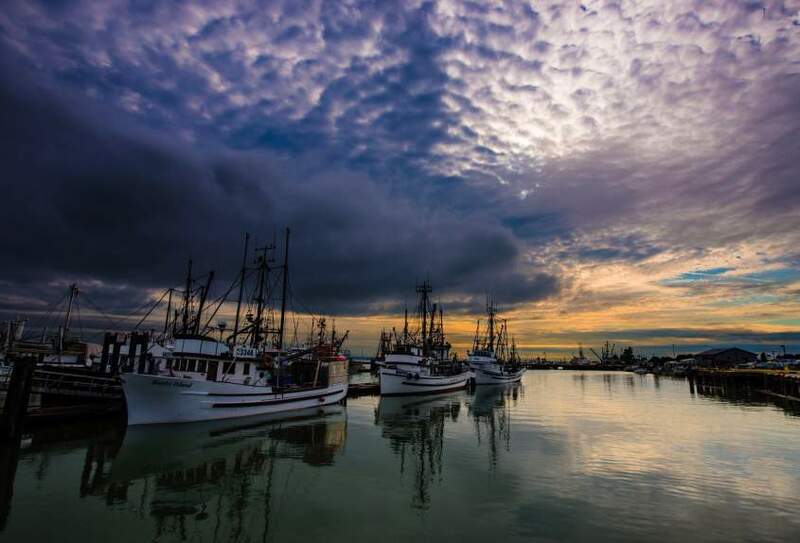 Just a 20-minute drive south of Vancouver and part of the suburb of Richmond, Steveston sits at the mouth of the Fraser River and was once the largest fishing port and cannery centre on the West Coast. Today, the canneries are no longer in operation, but it is still home to the largest salmon run in North America and to the largest fleet of commercial fishing vessels on the BC coast. The International Buddhist Temple is one of the largest Buddhist temples in North America, housing the largest Buddhist statue on the continent and the largest Buddhist mural in the world. Tucked between Richmond General Hospital, Westminster Highway, and the bustling area around Richmond Centre Mall, this Asian-themed park is a delight. Trails wind around and between ponds filled with waterfowl, gardens filled with exotic plants and flowers are reflected in the water, there are pleasant places to sit, and sports fans can watch local residents engage in some spirited lawn bowling. If you're cooped up in a nearby hotel room, this is a great escape. Aberdeen Centre is a shopping mall in Richmond, British Columbia. It is located in the Golden Village district on Hazelbridge Way, bordered by Cambie Road to the north. If you love to shop, Richmond Centre is the place to be. With over 200 stores and services, Richmond Centre is one of the Lower Mainland's best shopping experiences! The Richmond Nature Park is a bog-forest nature park located in the city of Richmond, British Columbia. The Richmond Nature Park covers 200 acres of the raised peat bog habitat that has previously covered large sections of Lulu Island. spend an afternoon lying under the sun as the planes come in for a landing. You feel as you could touch them as the go over head.Bring a lunch and your best friend , relax and unwind while watching the big birds land. The Steveston Museum & Tourism Richmond Visitor Centre are located in a heritage building that was built in 1905 as Steveston�s first bank. The friendly Visitor Centre staff are available to help with suggestions for things to see and do in the area, directions, accommodation referrals and bookings, prepaid attraction tickets (to select attractions), and more. The Tourism Richmond Visitor Centre also has a selection of souvenirs for purchase. 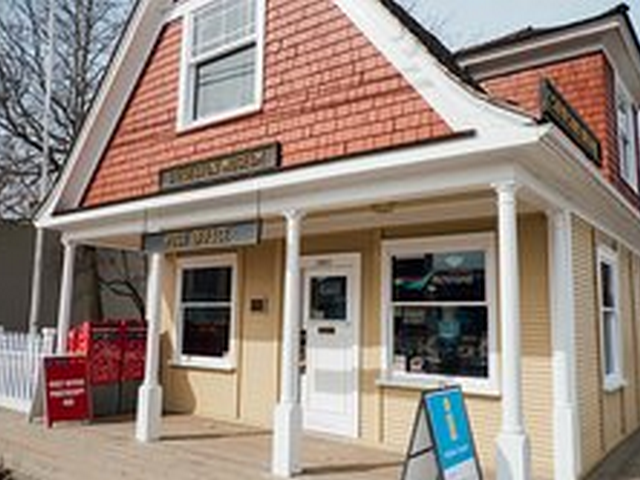 While you�re there, explore the Steveston Museum�s exhibits and continue on into the Japanese Fishermen�s Benevolent Society building to learn about the history of the local Japanese-Canadian community.